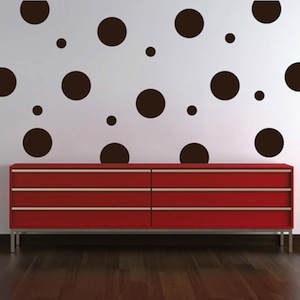 Make that plain wall really pop with the Even Polka Dot Wall Art Design! 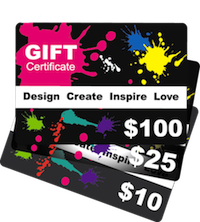 Why waste time, money, and energy with painting when the Even Polka Dot Wall Art Design has saved you all of that trouble? Designs have many options for orientation that give you the flexibility to change and reposition to your taste if necessary. Try to get a painter to do that! Each pack comes with 18 equal size dots and 10 small dots (28 dots total). 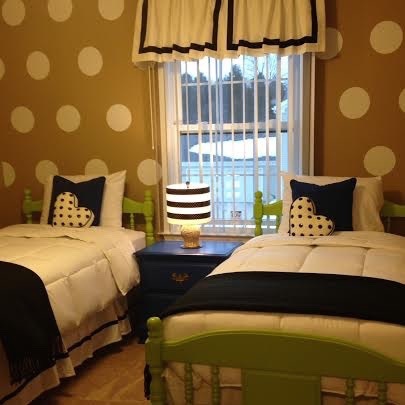 Silver polka dot decal over bubble gum pink painted walls!! 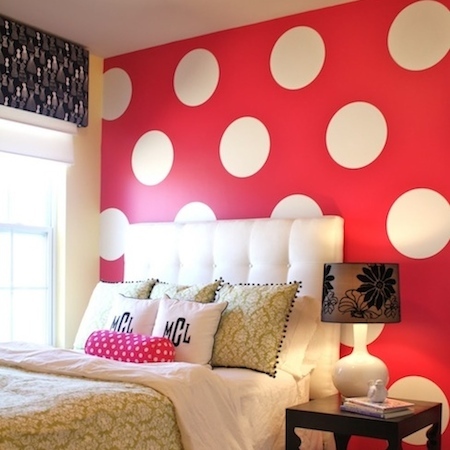 The Equal Polka Dot Wall Decals have worked out perfect. These decals where easy to place and move if needed.